Supplemental security income (SSI) is a federal income supplement program that is funded by general tax revenues. SSI provides monthly cash assistance payments to eligible people to help meet basic needs for food, shelter, and clothing. You must meet specific criteria in order to qualify for SSI. 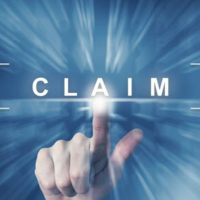 The Law Offices of Steinhardt, Siskind and Lieberman, LLC have extensive experience helping individuals navigate the complex rules and procedures involved in determining eligibility for an SSI claim. Our accomplished Glen Burnie social security disability lawyers can assist you in matters such as completing the necessary forms, explaining the process of applying, and filing an appeal if you are denied benefits. Has lasted or is likely expected to last for a continuous period of not less than 12 months. You have a visual field limitation in your better eye, such that the widest diameter of the visual field subtends an angle no greater than 20 degrees. SSI is a need-based benefits program. Whether you qualify for SSI is based on your financial eligibility and is evaluated based on your income and resources. Anything else you own that can be converted to cash to be used for shelter or food. Be either citizen or a national of the United States. General funds of the U.S. Treasury such as personal income taxes, corporate taxes, and other taxes finance SSI. Social Security taxes do not fund the SSI program. SSI benefits are paid on the first of the month. Both programs offer benefits on a monthly schedule. Generally, the medical standards for disability are same in both programs for individual age 18 or older. Social Security Administration (SSA) administers both programs. Schedule a free consultation at our main offices in Glen Burnie, or at our satellite offices in Owings Mills, Ellicott City, or Annapolis. Our passionate supplemental security income lawyers want to ensure you are treated fairly. They will assist you with your SSI claim by meeting with you, completing the required paperwork, and ensuring forms are complete and well-documented to support your claim. If you filed for benefits and received a denial, we are committed to helping you file an appeal to get the benefits you deserve and are entitled to by law.